Be prepared for the emotional ups and downs with them. Your love and compassion is just what they need. Attend the funeral or memorial service. 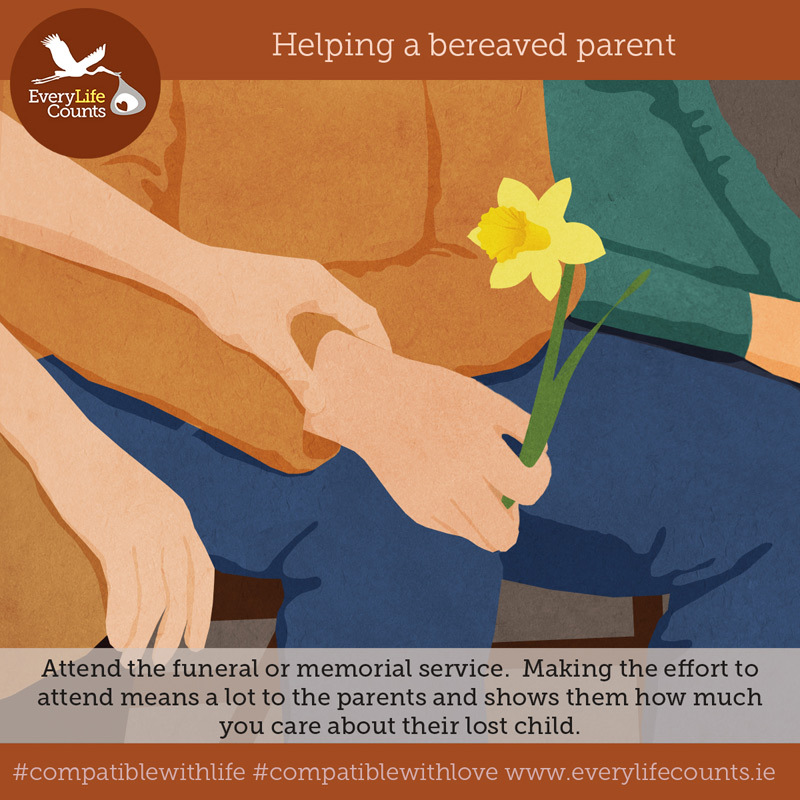 Making the effort to attend means a lot to the parents and shows them how much you care about their lost child. Help with practical things. Give them space to grieve. 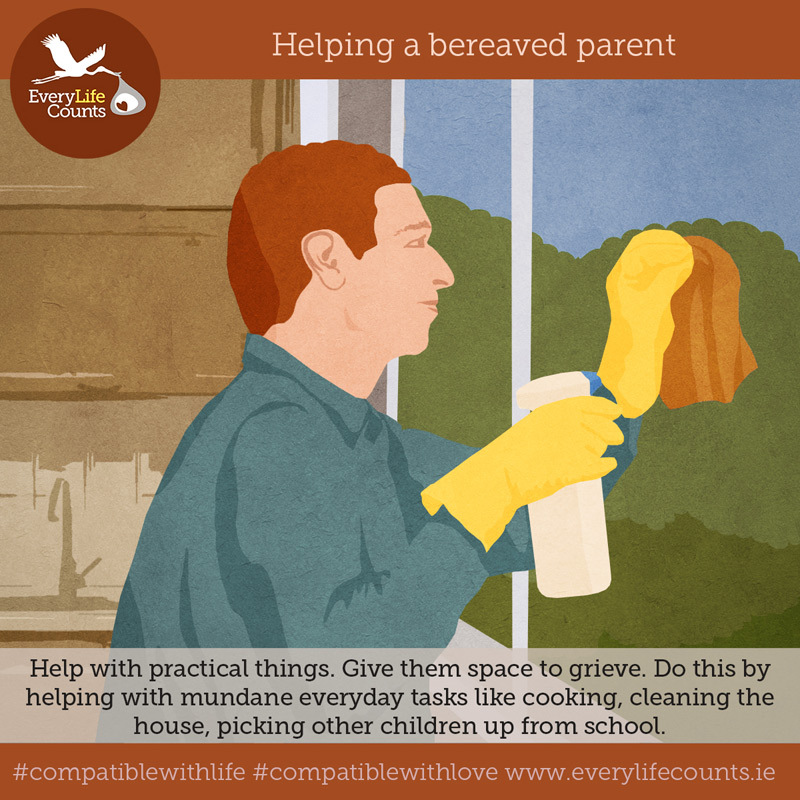 Do this by helping with mundane everyday tasks like cooking, clearning the house, picking other children up from school. 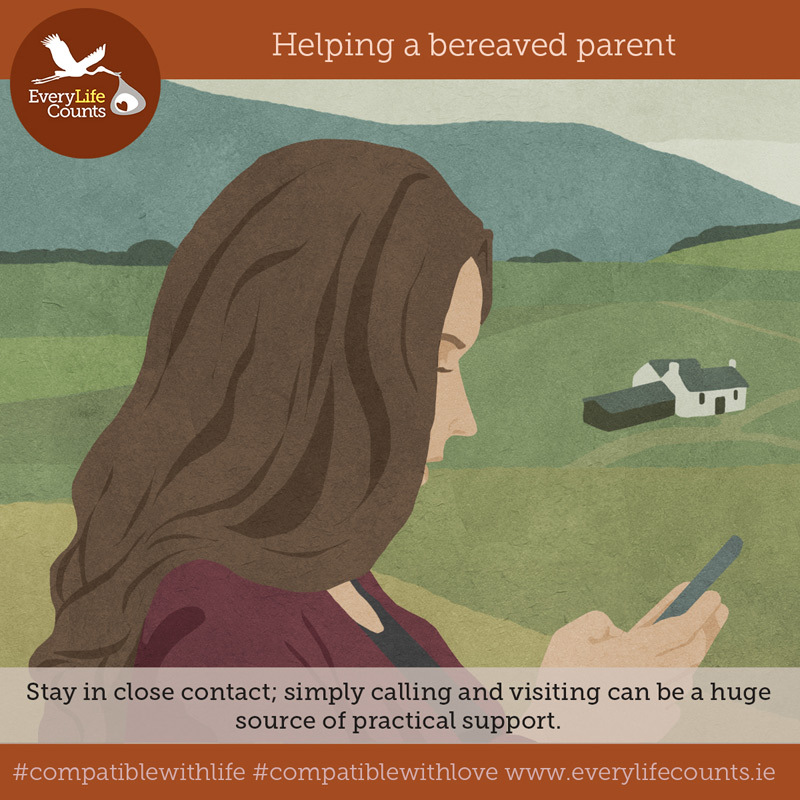 Stay in close contact; simply calling and visiting can be a huge source of practical support. 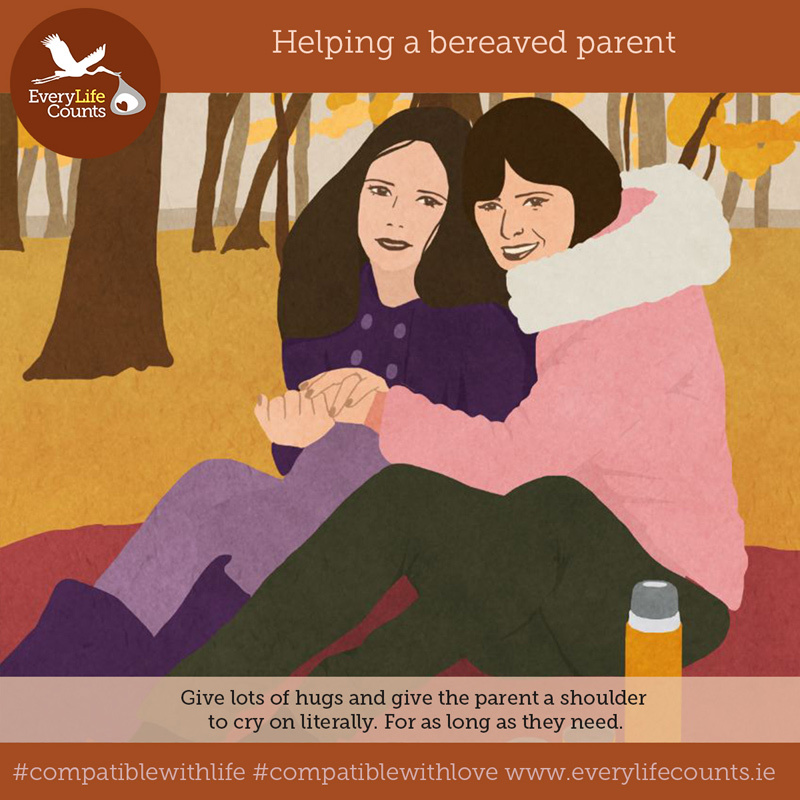 Give lots of hugs and give the parent a shoulder to cry on literaly. For as long as they need. 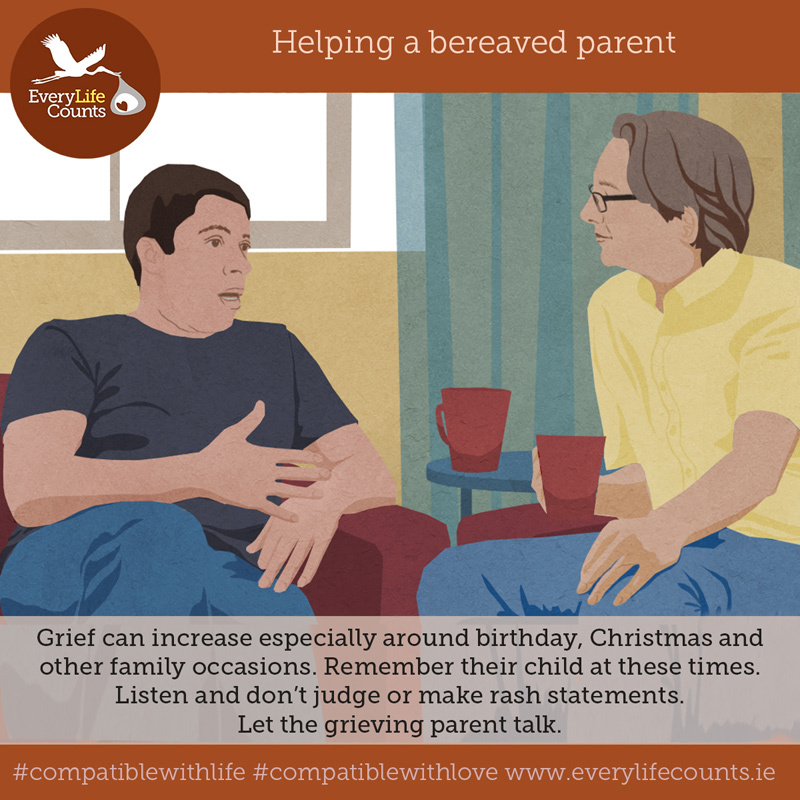 Grief can increase especially around birthday, Christmas and other family occasions. Remember their child at these times. Listen and don't judge or make rash statements. 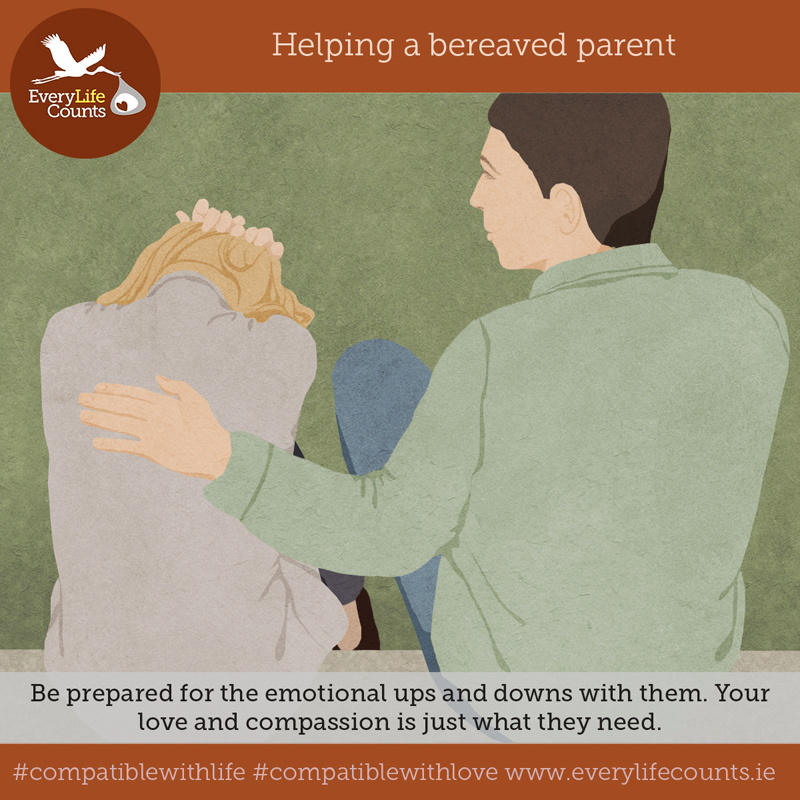 Let the grieving parent talk. 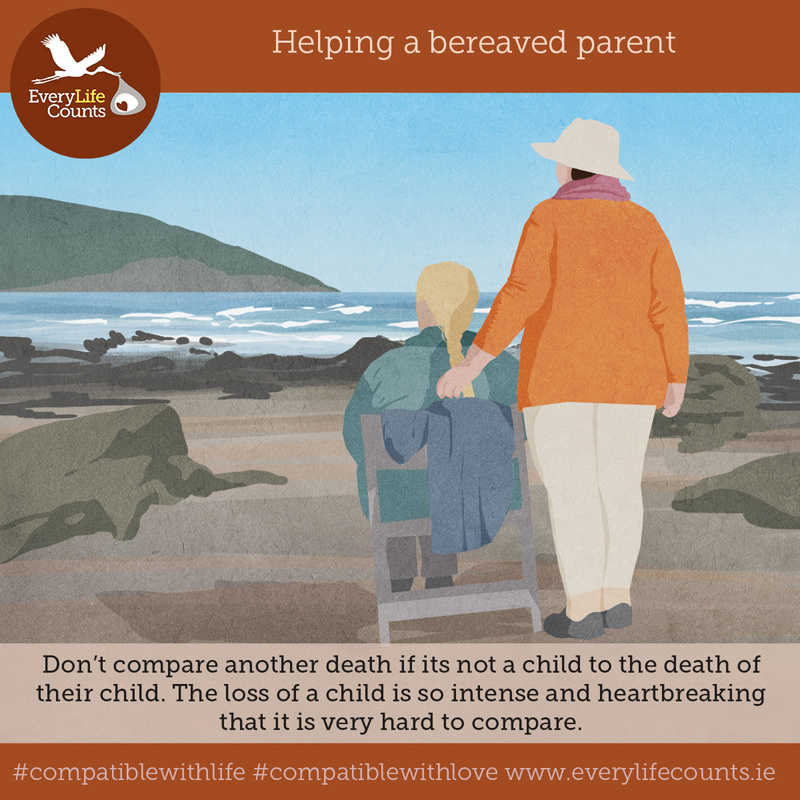 Don't compare another death if its not a child to the death of their child. 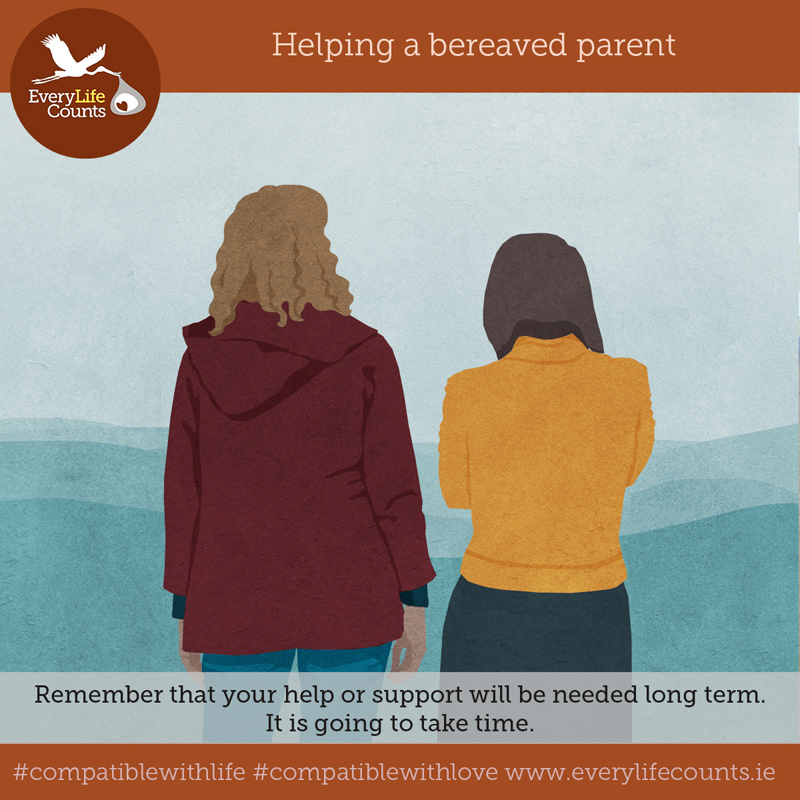 The loss of a child is so intense and heartbreaking that it is very hard to compare. 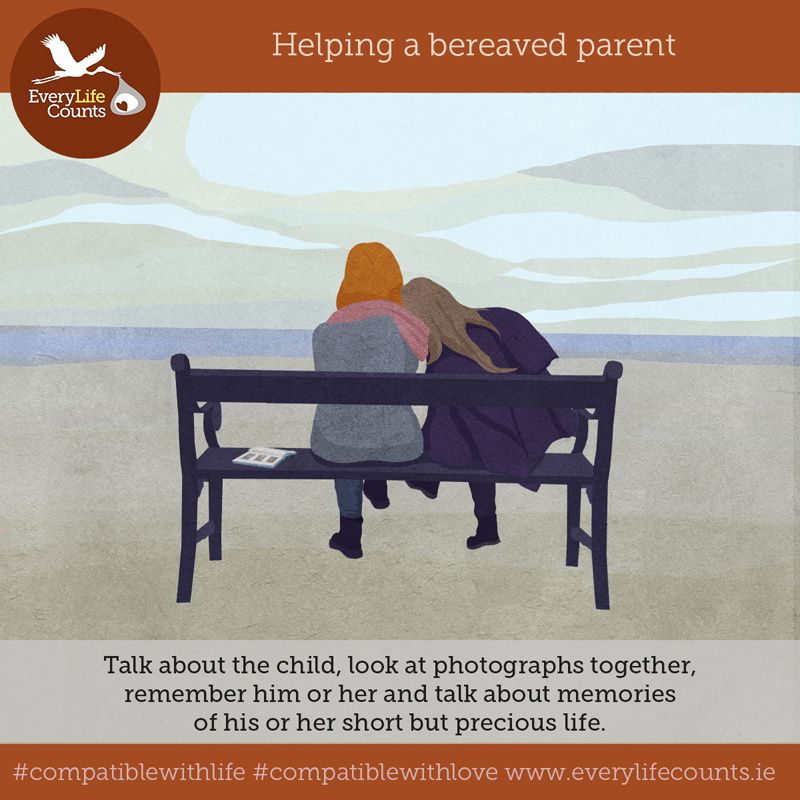 Talk about the child, look at photographs together, remember him or her and talk about memories of his or her short but precious life. Don't disappear. 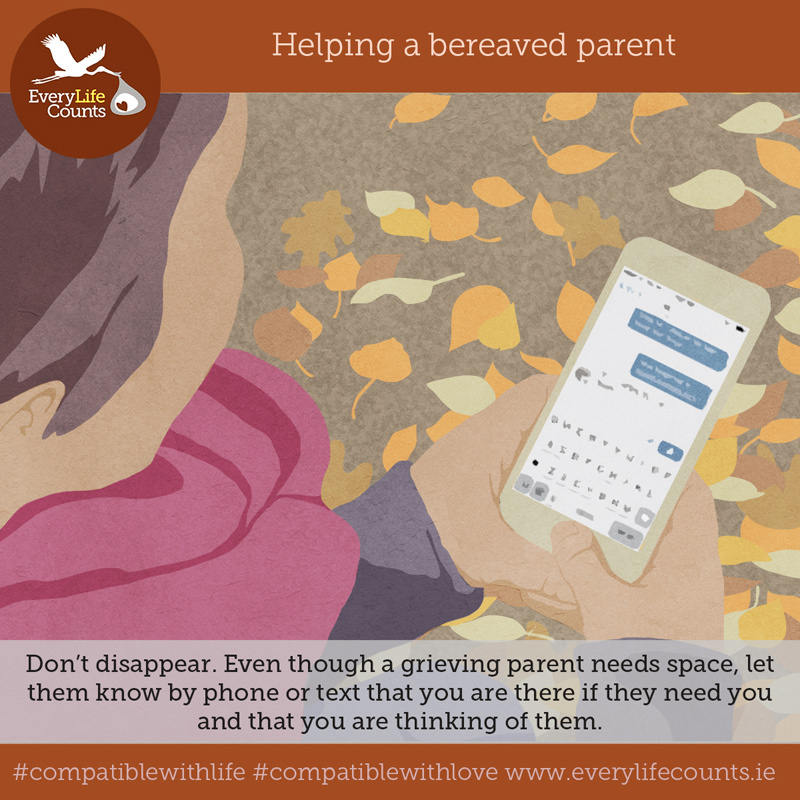 Even though a grieving parent needs space, let them know by phone or text that you are there if they need you and that you are thinking of them.